We all know you can see the best and worst customer service in any location worldwide, however the integrated retail and hospitality training systems, wage structures and gratuity arrangements (tips – an additional 10–20% of the purchase price) are some factors that lead to exceptional customer service in the US. This has been my experience, including on this trip. A visit to San Francisco and the headquarters of Wells Fargo Bank made me reflect on this aspect of US business culture. 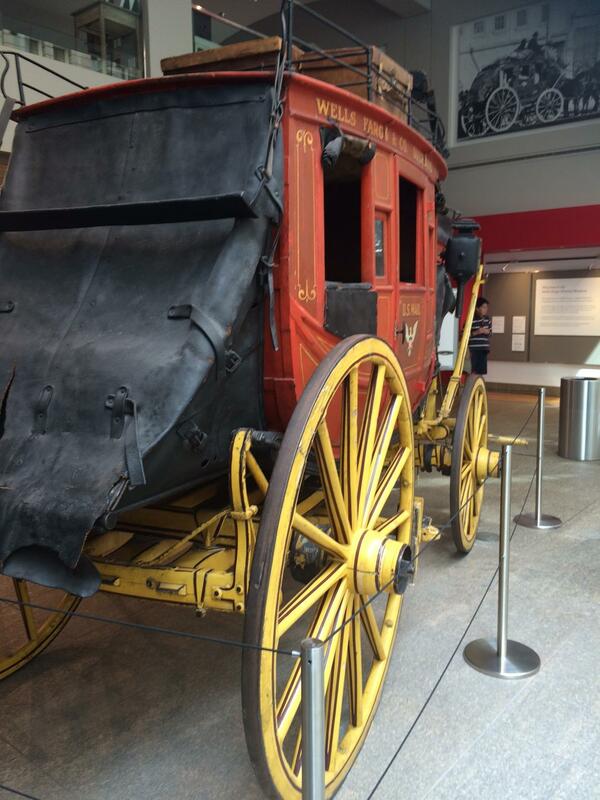 In 1852 Wells, Fargo & Co was born in New York City, inspired by the discovery of gold in California in 1848. Henry Wells and William Fargo founded an express delivery (horse-drawn stagecoach) and banking business that would connect the vibrant East Coast with the remote gold fields of the West. The bank’s agents reportedly established a reputation for service and fairness to all who walked in their doors. It was a particularly enlightened attitude at that time and, most likely, a powerful point of difference. Customer satisfaction = common courtesy, plain and simple! The focus on the concept of courtesy made me reflect on what can drive customer satisfaction in today’s business environment? As a child my parents would often ‘instruct’ us kids to embrace the notion of common courtesy, but today it seems somewhat lost in another era. However the more I reflected on the power of the word courtesy, the more it reignited a belief that it is one of the essences of customer satisfaction. A business transaction is not just about what we get (the goods or service) – it’s also about the wholesomeness of the experience. Common courtesy can go a long way to enhancing that customer experience. Henry Wells and William Fargo were onto something back when they kicked off their business, over 150 years ago. Is there room for courtesy in our brave new world? A few days later I am in New York City, reading USA Today, and Google has just announced its new artificial intelligence (AI) product called 'Google assistant', with two-way dialogue and machine learning capability! So far Google assistant has been rolled out in three products: Home, Allo and Duo. As the Google blog tells us: Google Home is a voice-activated product that brings the Google assistant to any room in your house. With a simple voice command, you can ask Google Home to play a song, set a timer for the oven, check your flight, or turn on your lights. Allo is a messaging app that comes complete with the Google assistant, while Duo is a companion app for video calling. The unveiling of Google assistant saw a ‘normal’ morning routine profiled on a big screen in which a woman checks on her flight, changes dinner reservations and sends a text to a friend, while her husband asks the device to turn lights on and children pose homework-related questions … and then the husband purchases theatre tickets and has them sent to his digital wallet. All this done and dusted by a device (assistant!) that fits in the palm of your hand and effectively looks like a portable speaker. Google indicates that one of the remaining challenges with their new technology and other products of a similar nature (including Amazon’s product, Echo) is being able to process ‘natural language’. Where’s the courtesy in this?! This sounds a lot like a bunch of ‘transactions’ conveniently facilitated by a very smart machine. It will certainly help us all organise and manage our lives; it will have dramatic and groundbreaking impacts on the business environment and the way services are delivered; it will certainly be convenient; but what about customers’ satisfaction and the wholesomeness of the experience? Hopefully the Google assistant is able to demonstrate a courteous approach to assisting his or her master! On the other hand, does this further move to machine-driven service provide other business enterprises with unique and powerful opportunities to differentiate themselves and add significant value?